Foro Rounded is a rounded slab-serif typeface created by Dieter Hofrichter and published by Hoftype that commes with 16 syles (symbols,arrows,standard ligatures etc) in OpenType format. 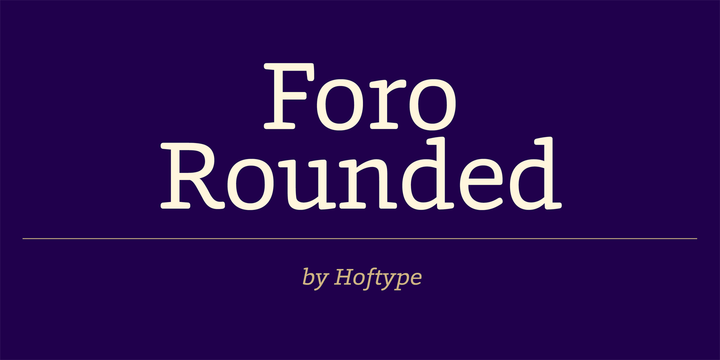 Enjoy Foro Rounded! A font description published on Wednesday, March 13th, 2013 in Fonts, Hoftype by Alexandra that has 5,144 views.